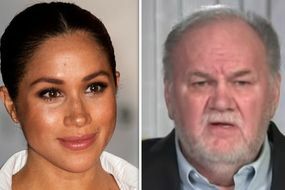 Ms Markle hit out at her sibling on Twitter after Meghan’s bombshell letter to her father Thomas Markle was revealed on Sunday. In the note - which was written last August - Meghan insisted that she “barely knows” her half-sister, adding that she has told “vicious lies”. Meghan wrote to her father: “I pleaded with you to stop reading the tabloids. But Ms Markle - who is penning two tell-all books about Meghan set for release later this year - took to social media to rant about her half-sister.